How do I contact you About Us How Secure is Paypal? I cant find the product I'm looking for? What other ways can I pay for my purchase? How do I create an account? How much is delivery? How do I receive a gift voucher? Do you accept PO's from Schools & Colleges? Do you offer discounts for volume orders? What are the flags made of? Are the flags suitable for outdoor use? Paypal ensure users who send or receive large amounts of money have successfully completed their verification system and identity check. Safeguarding your financial and personal information is one of our most important priorities. That's why Paypal automatically encrypt all sensitive information sent between your computer and their systems, ensuring your information is kept private. When registering or logging in to the Paypal site, Paypal verify that your Internet browser is running Secure Sockets Layer 3.0 (SSL) or higher. Information is protected by SSL with an encryption key length of 168 bits (the highest level commercially available). Paypal store your personal information and ensure it's heavily guarded, both physically and electronically. To further safeguard your debit and credit card numbers and your bank account details, Paypal do not directly connect their firewall-protected servers to the internet. If you at any time wish us to delete your information from our system please send us a message via our contact page. Once you have added all the items to your Shopping Cart. Click on "Checkout"
Once you are satisfied with your order. Click on "Checkout"
If you have PayPal. Log into Paypal using your e-mail address & Password and follow the on-screen instructions. If you don't have have a Paypal account, click on the option on the left hand side of the screen to pay with any debit or credit card. We add to our range on a weekly basis. However, we realize that flags are released which we don't have listed on the site. If there is a particular flag you are looking for, please get in touch & we'll try our best to see if we can get you one. Before you can place an order via the web-site you are required to open an account. This is to allow us to ensure we have the correct details to fulfil your order. (Address, e-mail address & telephone number) We do not ask for any information which we do not need. We WILL NOT pass your details on to any other 3rd party. 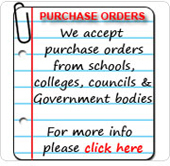 We only ask you to provide information we need to allow us to fulfil your order. Name, Address, Telephone number & e-mail address. Your Telephone number & e-mail address are only used if there is any problem with your order. We WILL NOT pass your details on to any other 3rd party. That's not a problem. You don't have to have a Paypal account to use the Paypal secure system. You can also use a Visa, Maestro, American Express or Master Card. To use any of these other card types. Follow the normal checkout procedure. You will be asked to "Confirm Order" (Stage 3 of 3). Once you have clicked this option, you will then be offered the alternative payment options. Before you can place an order via the web-site you are required to open an account. This is to allow us to ensure we have the correct details to fulfil your order. (Address, e-mail address & telephone number) We do not ask for any information which we do not need. 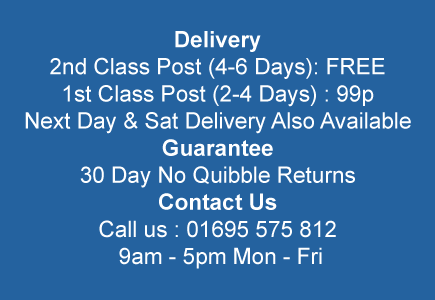 Orders up to 6 flags will generally fit through a standard letter-box. Orders over 6 flags will be too big to fit through the letter box. If your not in when the delivery is made, your postman will usually leave a note for you to collect from the nearest sorting depot. Yes, we can deliver anywhere in the world (Air Mail) for an additional postage fee, based on the delivery address and the size & weigh of the order. You will see an estimated delivery cost at the bottom of your order screen to see how much delivery will be. Orders up to 6 flags will generally fit through a standard letter-box. Orders over 6 flags will be too beg to fit through the letter box. If your not in when the delivery is made, your postman will usually leave a note for you to collect from the nearest sorting depot. Can I guarantee a delivery time? If you wish to cancel your order, please either contact us on tel : 01695 575 812 or email : info@nwflags.co.uk Where possible we will cancel the order before it is shipped & refund the total order including any additional postage paid at the time of purchase (Express, Saturday delivery etc) Will be refunded. If you wish to cancel your order after the order has been dispatched, please contact us the same way. Unless the item is faulty, it should be in a new & unused condition. We will refund the value of the purchase to the same card used to make the purchase. You are responsible for the cost of returning any unwanted goods. Any additional postage paid at the time of purchase (Express, Saturday delivery etc) Will not be refunded. Please state your order number & the reason for return & a returns number will be issued. No quibbles. Faulty / Damaged / Incorrect Goods - In the unlikely event that your goods arrive faulty, damaged or incorrect, we will either provide a full refund, or send replacement goods as soon as possible once the problem has been reported. To redeem a gift voucher. Add your products to your shopping cart in the usual way & click "Checkout". At Step 2 of 3 of the checkout process you will be asked to enter your Discount Coupon Code. The discount code will be applied to your purchase here. How do I receive a gift voucher? From time-to-time we issue Gift Vouchers. These will usually be discounts against your purchase. To qualify to receive Gift Vouchers you need to be registered with an account. What are the flags made of? Our flags & Bunting are full colour screen printed on 100% polyester. The flags are printed in colour true to the country of origin. (Colour / images on the web are a used as a guide only). Sometimes the actual shape may vary from the actual flag. All flags come with two brass eye-lids for flying the flag & are double stitched to provide strength. We are pleased to accept official purchase orders from Government, Education, Local Council and Health Authorities / Trusts.